Hawaiian Paradise Coffee was launched in 2000 by Euram, Inc., a locally owned and operated equipment servicing company established in 1993. Since then, Hawaiian Paradise Coffee has become one of Hawai’i’s largest food-service coffee roaster by volume. "Products with our seal are grown and harvested on farms and forests that follow sustainable practices." Hawaiian Paradise Coffee responsibly sources fresh, organic produce from farmers across the Pacific Coast. Because of its high altitudes, tropical climates, and rich soil, Hawaii is the only US state to produce coffee. Through our local farms in the Hawaiian Islands to those along the Pacific Rim (Sumatra, Papa New Guinea, Vietnam, Peru, and other Central American Regions), we desire for our customers to experience our delicious, responsibly sourced, world-class coffees. Most of all, we want Hawaii’s “aloha spirit” to reach farther than we’ve ever imagined. Jean-Claude Drui (right), of Differdange, Luxembourg graduated from the Lycee Technique Hotelier in Diekirch and came to the United States in 1981. 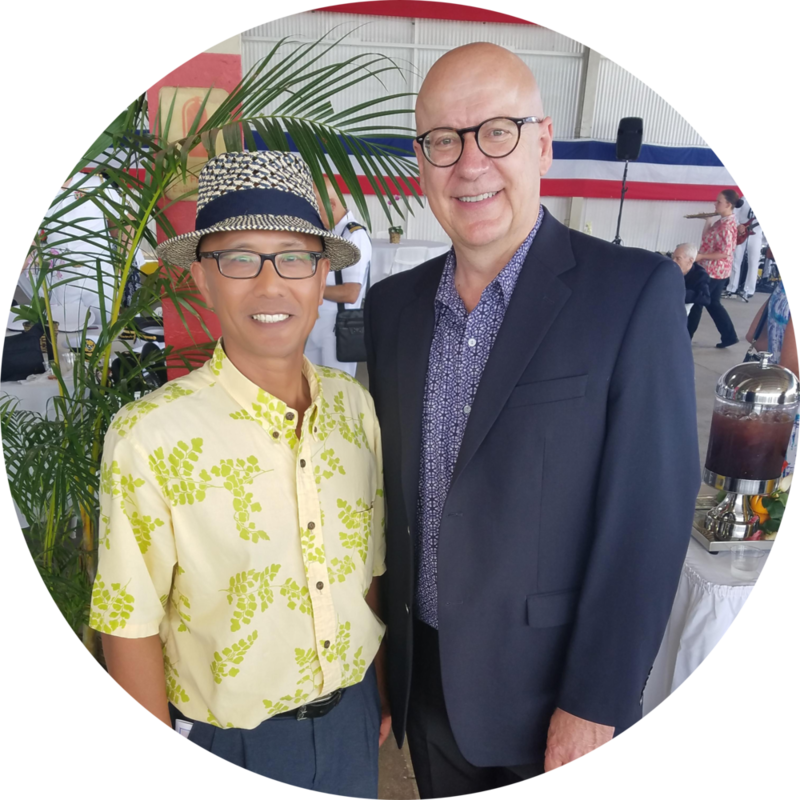 A successful hotel management career brought him to Hawaii, where he branched out to create his own business, Hawaiian Paradise Coffee. Today, Hawaiian Paradise Coffee is one of Hawaii's largest coffee roasters, supplying many of the leading hotels and restaurants on all the islands with quality, earth-friendly, sustainable coffee. NOW AVAILABLE FOR NATIONAL DISTRIBUTION.